the fearlessness to state reality that the nation deserves better at this basic time than what Buhari is fit for offering. 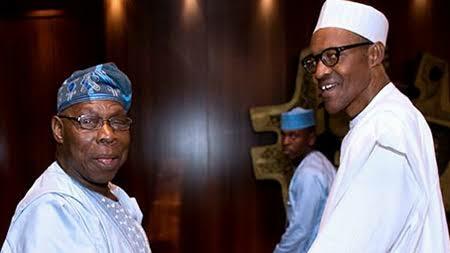 The former leader who is widely respected internationally, stated this while addressing the press at his Olusegun Obasanjo Presidential Library (OOPL), Abeokuta, the Ogun State capital. To be forewarned is to be forearmed. A battle long forewarned does not embroil the cripple nor catch him unawares. A word is sufficient for the wise. The labour of Nigerian democracy heroes must not be in vain. Some men of God would hold President Buhari to his word on free, fair, credible and peaceful elections. I am a realist and I reiterate that I go by track record. Therefore, I am not persuaded by a track record of hollow words, impunity, insensitivity and ‘I-couldn’t-care-less’ attitude, or by the sanctimonious claims of any candidate and his campaign staff. I will only believe what I see. This is a time for vigilance to fight to safeguard our votes and defend our democracy. The price of liberty and sustenance of our democracy is eternal vigilance and appropriate reaction to ward off iniquities. We must all be ready to pay that price and not relying on hollow words of callousness. The derailment of Nigerian democracy will be a monumental disaster comparable to the disaster of the Nigerian first military coup. Such measures can vary from denial and withdrawal of visas from the people concerned and from their families to other more stringent measures including their accounts being frozen and taking them to International Criminal Court, ICC, if violence emanates from their action or inaction. Nigeria must not be allowed to slip off the democratic path nor go into anarchy and ruin. No individual nor group has monopoly of violence or gangsterism. And we must not forget that in human interaction, reactions are normally greater than action, though opposite. Otherwise, it will be difficulty to deny the rumour that she is being assigned to Collation Centre for one duty only – to write out figures that are not results of the voting in the field on fake results sheets without water mark or on genuine results sheets which she will have access to as a Commissioner. Amina Zakari is not the only Commissioner that can be in the Collation Centre. Let the INEC Chairman act boldly and impartially and prove his absolute neutrality and responsiveness to contribute to make the election peacefully free, fair and credible. His integrity needs to be transparently demonstrated. We should remember that there had been reports of INEC sponsored rigging in the past, and also with INEC officials through collation and with officials being put in party coordinators’ dresses and working for the political party favoured by INEC and also putting the dresses of other parties on INEC-favoured parties and police uniforms on INEC-favoured parties to rig all the elections for the favoured party. Like all of us, INEC knows all these and it should devise means to make sure they do not happen. But will they? One way will be to only allow card readers to be means of authenticating voters and where there is no such authentication, it should mean no voting. The second is to use only identity cards with watermarks issued by INEC itself to party officials only for identification of political party coordinators, officials and agents and not political parties dresses or arm and wrist bands which anybody can wear for purposes of identification on election duty or function. Both the Presidency and the National Assembly must so far be commended for adequately providing funding as confirmed by INEC, and therefore funding cannot be an excuse for poor performance by INEC. President Buhari and his hatchet men in the coming election think that the judiciary must be primed in their favour. Hence, the Chief Justice of Nigeria, Justice Walter Samuel Nkanu Onnoghen, has been harassed and prosecuted for non-declaration of his assets without following the Constitution and the law, just to make him conform or set him aside for a Buhari man to take over or act, as President Buhari and his people believe no stone should be left unturned to rig Buhari in. It seems to be a ploy to intimidate the judiciary as a whole in preparation for all election cases that will go before them. Where and how will all these stop? Typically, with overwhelming outrage and condemnation, we are told that the Presidency denied knowledge of the action. But the Vice-President told us that the President knew of the action on Saturday night for everything that has been prepared for Monday morning. Haba VP, it doesn’t happen that way. Nobody should take such measure against any of the four in hierarchy below the President or any of his ministers without his knowledge and indeed his approval. But if that can happen to the Chief Justice of the Federation, the fifth man in the hierarchy of government, without the knowledge let alone the approval of the President, then it speaks for the type of government we have which means the President is not in charge let alone being in control and no Nigerian must take anything for granted. We are all unsafe and insecure under such an administration. And enough of it! He describes him as inflexible, insincere, dubious, intolerant, never accepts responsibility when things go wrong and impervious to reason and advice for change. If you cannot change your mind, you cannot change anything is the assertion of George Bernard Shaw. Even when figures, facts and statistics are made clear to Buhari, he keeps repeating what is untrue, either because he cannot understand or for mischief purposes and that places him on the level of a pathological liar. He believes he can get away with impunity and deceit as he seems to have done on many occasions in the past. 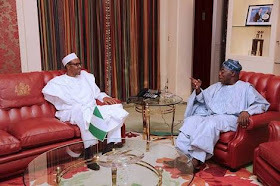 Buba Galadima’s position is well complemented by Dr. Auwalu Anwar on the APC, CPC, TBO and Buhari’s character and attitude in his yet to be launched book, “Politics As Dashed Hopes in Nigeria”. It is also a stunning revelation. Anwar clearly pointed out, “the brazen display of incompetence, insensitivity and irresponsiveness by delusional party, CPC, leadership at all levels”. Buhari was the leader of the party. The current plan is to drape the pre-determined results with a toga of credibility. It is also planned that violence of unimaginable proportion will be unleashed in high voting population areas across the country to precipitate re-run elections and where he will be returned duly elected after concentration of security officials as it happened in Osun State. We are monitoring them and we call on all democrats across the world to keep an eye on the unfolding anti-democratic agenda of President Muhammadu Buhari. This is the time for preventive measures to be taken otherwise Nigeria may be presented with a fait accompli with impunity and total disregard of all pleas. I was a victim of Abacha’s atrocities against Nigeria and Nigerians – high and low. At the height of Abacha’s desperation for perpetual power, he did not brook any criticism because Nigeria was seen as his personal property. You must go along with him or be destroyed. All institutions for ensuring security, welfare and well-being of Nigeria and Nigerians particularly the Police, the Military and the Department of State Services (DSS) were abused and misused to deal with critics of Abacha and non-conformists with Abacha. Today, another Abacha Era is here. The security institutions are being misused to fight all critics and opponents of Buhari and to derail our fledgling democracy. EFCC, Police and Code of Conduct Tribunal are also being equally misused to deal with those Buhari sees as enemies for criticising him or as those who may not do his bidding in manipulating election results. Criticism, choice and being different are inherent trade mark of democracy. If democracy is derailed or aborted, anarchy and authoritarianism will automatically follow. My final appeal to him is to desist from evil with manipulation and desperation because evil has repercussion especially as man who should watch and be mindful of his self-acclaimed and packaged integrity. At the end of the day, those who goad you on will leave you in the lurch. You will be left alone, Unclad and unheralded. 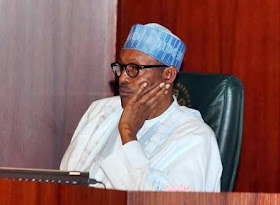 In defeat, which must be Buhari’s fear leading to desperation, he and his co-travellers can still maintain modicum of decency, and exhibit fear of God in their actions. We have been told that governance has been abdicated to a cabal. Now, campaigning has been abdicated to ‘jagaban’. And it is being authoritatively stated that he would not join any presidential debate. Before I conclude, let me assert that the security situation has deteriorated with kidnapping everywhere and Boko Haram more in action and nobody should deceive Nigerians about this. With the teaming up of Boko Haram and Islamic State's West Africa Province (ISWAP), Boko Haram is stronger today militarily than they have ever been. Boko Haram has also been empowered by the Nigerian government through payment of ransom of millions of dollars which each administration disingenuously always denies. With ISIS being liquidated in Iraq and Syria, Africa is now their port of concentration. Soon, they may take over Libya which, with substantial resources, is almost a totally failed state. When that happens, all African countries North of Congo River will be unsafe with serious security problems. The struggle must be for all West African, Central African, North African and most East African States. Nigeria has to play a vanguard role in this struggle as we have much to lose. This administration has reached the end of its wit even in handling all security issues, but particularly Boko Haram issue, partly due to misuse of security apparatus and poor equipment, deployment, coordination and cooperation.